Petersburg Industrial Economic Development Corp. announced this week that the Nathan Thieman family has purchased the first lot in the new Petersburg housing development area. 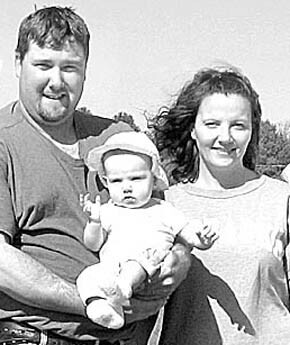 Pictured here are Nathan and Jen Thieman and their daughter, Lily. The development in northwest Petersburg consists of seven large lots, each about 162 by 210 feet in dimension. Local landowners, Virginia Foss, Marv and Kathy Koch, and Connie Cai, participated in this development project with the development corporation and village board.